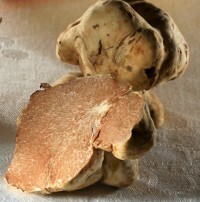 A deep wooden perfume, nice, a nut taste. 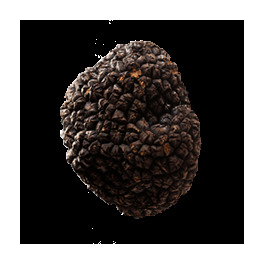 Well known under the name of Burgundy Truffle, grey truffle, autumn truffle. 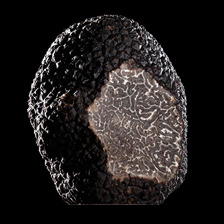 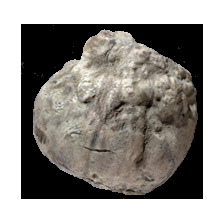 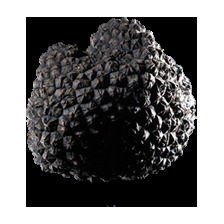 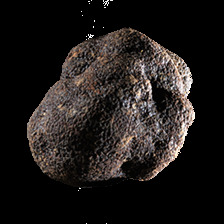 A very famous truffle, harvesting in the Center of France, in Burgundy, Auvergne, Champagne, Lorraine, Franche-Comté; also very important in Italy and in Eastern Europe. 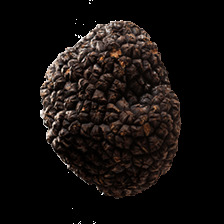 Rounded form or irregular, its gleba is colored in brown-yellowish to chocolate when ripeness. 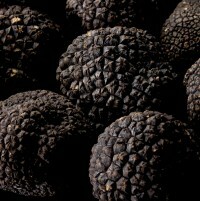 The color of the gleba varies from yellowish-brown to chocolate brown when mature. 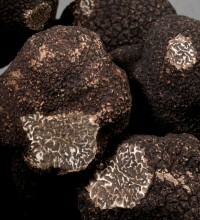 Harvesting period is from mid-September till mid-January.